L'accueil du propriétaire, le cadre et l'environnement de la maison d'hôtes, les équipements mis à a disposition, etc. 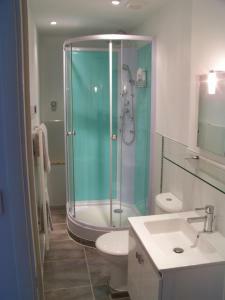 Un endroit parfait pour les amoureux ! Les hôtes sont très sympas et discrets. Le logement est très agréable. N'hésitez pas à réserver ! Propriétaires sympas. 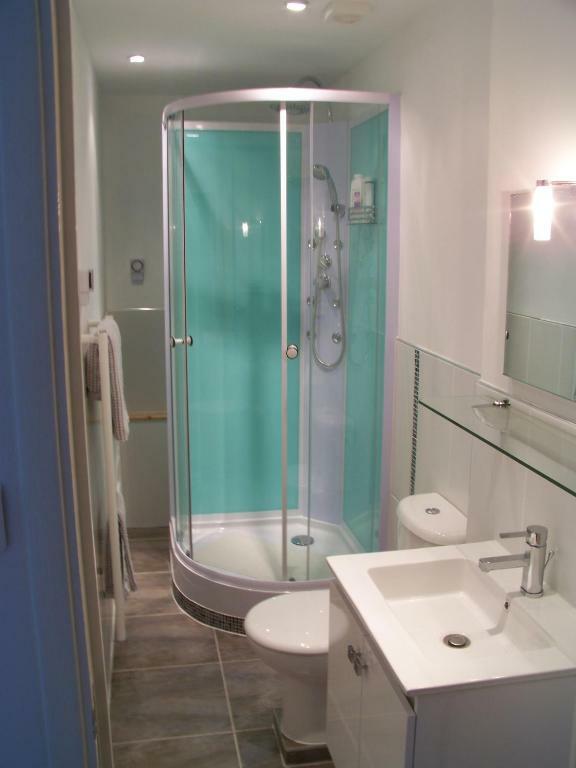 Nous aimons le grand lit, le confort de l'appartement, la cuisine entièrement équipée, et les jolis aménagements extérieurs. 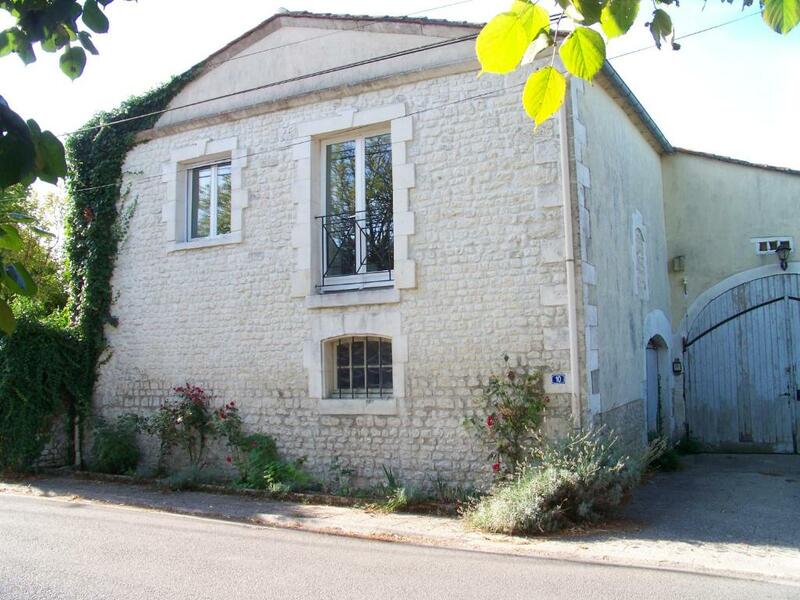 Everything, it is rustic , rural France, good location to travel within the Charente. Garantissez-vous un super tarif pour l'établissement Le Rosier. Les clients qui y ont récemment séjourné lui ont donné la note de 9,2. L'établissement Le Rosier accueille des clients Booking.com depuis le 13 janv. 2017. À quelle période souhaitez-vous séjourner dans l'établissement Le Rosier ? 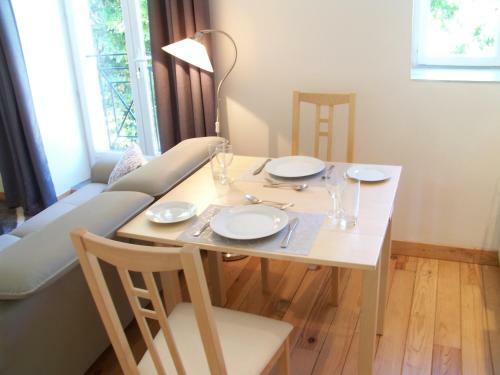 Le Rosier is a stylish studio apartment. It was originally the upper part of an old barn but we have no records as to what was the barn's original use. It was likely used as wine storage in its latter years but, alas, no traces of the equipment or indeed the wine itself exist. We live in the Chantaise property at the far end to the studio. 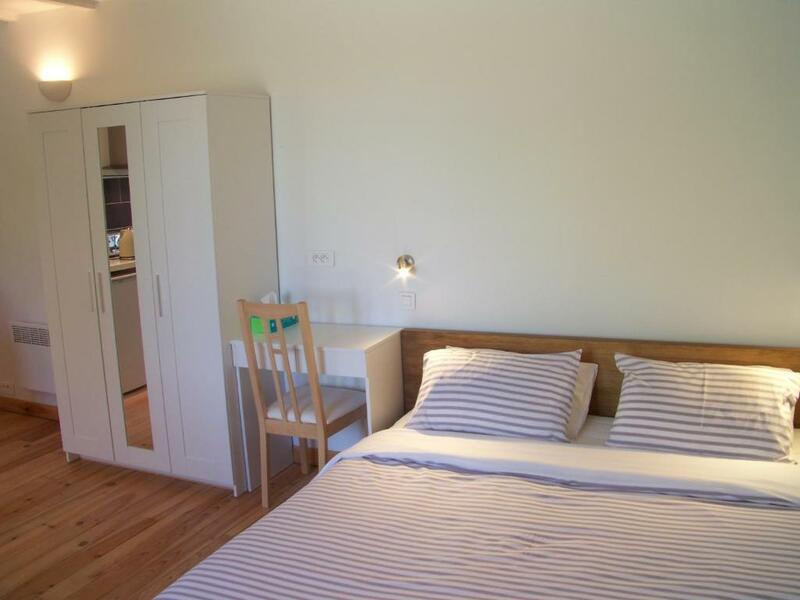 Le Rosier is a 35 square metre room and has everything you need for a very relaxing stay, whether for a few nights or longer term. 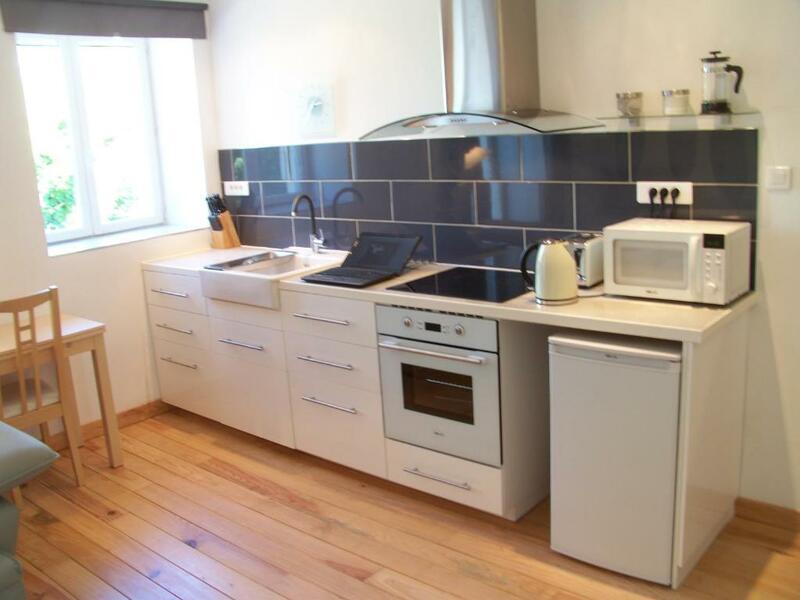 It has a fully equipped kitchen and a modern shower room. The studio is well insulated and has electric heating for those colder nights. 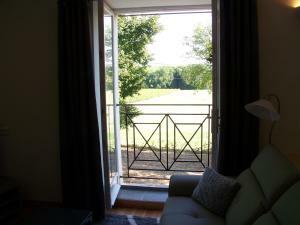 On warm summer evenings you can open the french windows and sit in front of the juliet balcony and watch the sunset. There is a super king size bed. a very comfortable sofa and a dining table and chairs and a large wardrobe. John and I retired to France in 2007. It was a long-held dream to live in France but we waited until our children had finished university and were settled into their own lives. 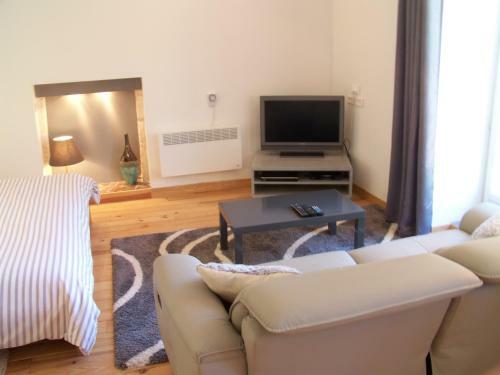 We originally owned a much bigger property but eventually realised that there was a gap in the market for holiday accommodation for couples so we sold and looked around for a smaller property which had potential for conversion. 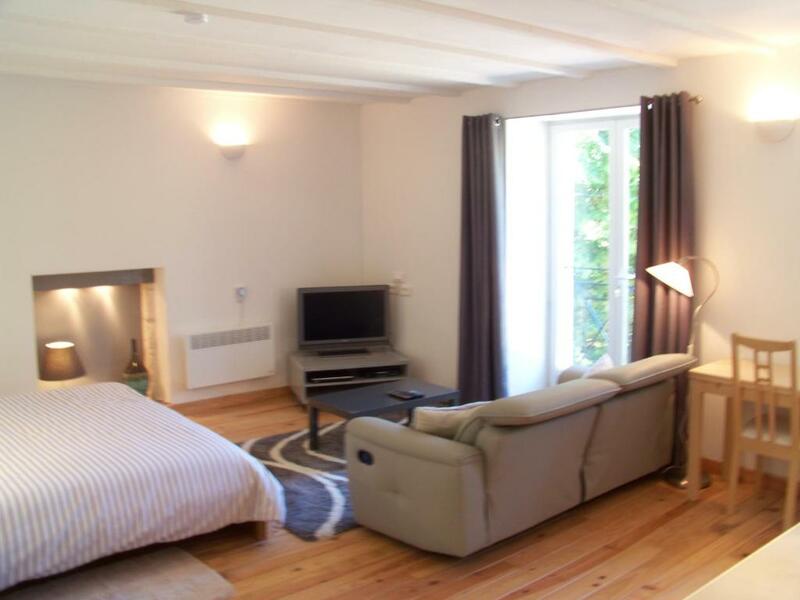 We initially converted a one bedroom gite which has operated successfully since opening in 2012 and has many 5* reviews, and now we have renovated a large room in a barn to a stylish studio apartment. We have really enjoyed meeting our guests over the years and look forward to welcoming guests to the studio apartment. We are always happy to help our guests either by booking restaurants or advising on places to visit, so please do not hesitate to ask. Do come and stay - we are sure you will not be disappointed. Segonzac is a small town in the heart of the premier Cognac grape growing area. The area is known as 'La Grande Champagne' due to the soil's similarity to that of the chalky Champagne region in northern France. Segonzac is considered the capital of the area and has its own small campus of Poitiers University. 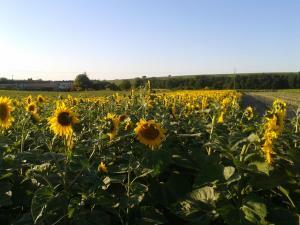 The countryside around is ideal for cycling or walking with gentle hills and valleys. Bike hire is available by prior arrangement, payable to the hire company directly. The Charente river flows lazily through the region on its way to the coast, running through the local towns of Jarnac, Cognac and, slightly further away, Saintes. Segonzac has a small supermarket, a bank, pharmacy, bakeries, and two bars. About 15km away is the larger town of Cognac with its hypermarkets and shops. There you can watch the world go by on the Place Francois Premier or walk through the delightful old town down to the Charente river. 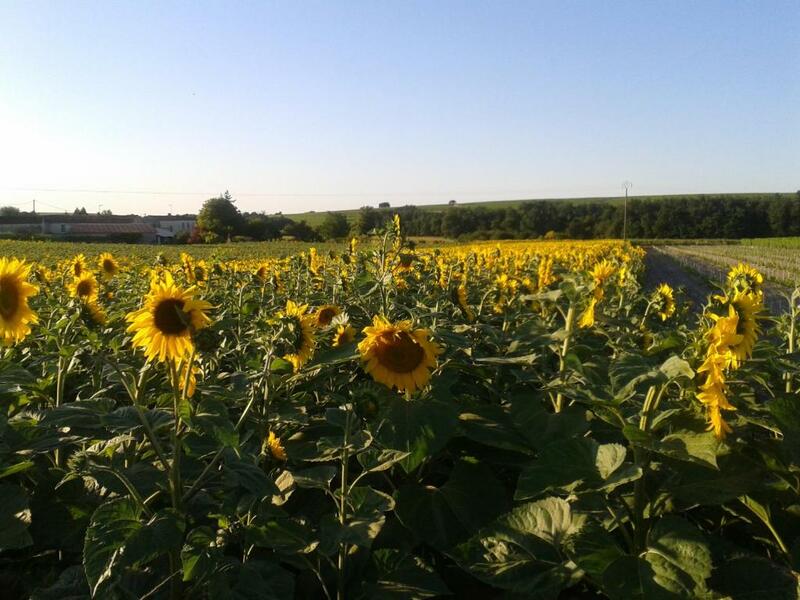 There is a plethora of things to do and places to see around the Charente, including a visit to our local distillery which is highly recommended! Important - À lire L'établissement Le Rosier accepte les demandes spéciales. Ajoutez la vôtre à la prochaine étape ! Une voiture est indispensable car l'hébergement Le Rosier se trouve à 2,5 km au sud de la ville de Segonzac. Veuillez informer l'établissement Le Rosier à l'avance de l'heure à laquelle vous prévoyez d'arriver. Vous pouvez indiquer cette information dans la rubrique « Demandes spéciales » lors de la réservation ou contacter directement l'établissement. Ses coordonnées figurent sur votre confirmation de réservation. Peut etre Les escaliers ?